The hot housing market in the region isn’t showing any signs of slowing down. 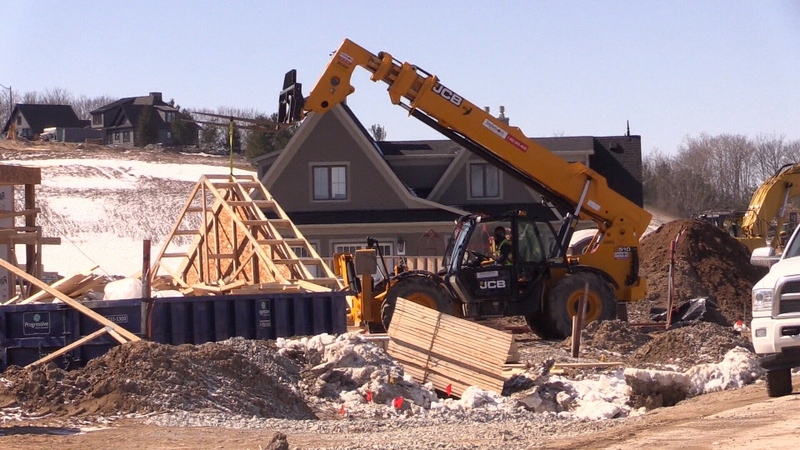 In Oro-Medonte, the number of building permits issued by the township have spiked by 60 per cent in the last year. “Our staff has almost been overwhelmed that we’ve had to adjust our staff to accommodate it,” said Mayor Harry Hughes. Developers attribute the increase to more people wanting to live north of the city. The average selling price for a detached home in Oro-Medonte in February 2017 was $646,038. That’s an increase of 32 per cent from 2016, but much lower than the average selling price in the Greater Toronto Area. “The one thing that living in the country does is allows you to have larger pieces of land to live on,” said Hughes. The township expects its population to increase by 30 per cent over the next 14 years. However, the province is limiting the growth to 229 new homes per year. Developers say they’re selling out new subdivisions five years before they’re even built.